Experience the water at your own pace with one of our rentals. We offer inflatable kayaks or Stand Up Paddle Boards. RIGS is located within 10 minutes of some great options for your on the water experience or join us during select summer months at Ridgway State Park for hourly rentals at the park. All Rentals include a personal flotation device (PFD or “life jacket”) and all necessary gear for operation. Hourly rentals are available from June 15th to August 15th. Reservations must be made via the shop before 1 pm for afternoon departure times. Full day rentals are available from May 15th – June 14th and August 16th – September. Inflatable Kayaks are stable and maneuverable, so no prior experience is needed to comfortably control your kayak. Simply stop by the shop we’ll help you load up your IK, give you some instructions and send you on your way! The Inflatable Kayaks come deflated for easy transportation and the rental includes the IK, paddle, pump and a PFD. During the summer, June 15th – August 15th meet us at Ridgway State Park for our Hourly Rentals. Reservations must be made via the shop before 1 pm for afternoon departure times. Full day rentals are available from May 15th – June 14th and August 16th – September. Try out the sport that has quickly become the hottest paddle sport to do on rivers and lakes throughout Colorado! During the summer, June 15th – August 15th meet us at Ridgway State Park for our Hourly Rentals. Reservations must be made via the shop before 1 pm for afternoon departure times. Full day rentals are available from May 15th – June 14th and August 16th – September. Take your SUP to Ridgway Reservoir located only 10 minutes from RIGS Fly Shop and find out why this sport is all the rage! Want to learn some techniques and tips to improve your form? Try our 2.5-hour Paddle Boarding Lesson! We offer a variety of fly fishing rentals that you can add on to your trip or rent independently of a trip. 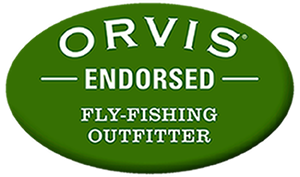 – This combination includes a pair of Patagonia or Simms waders and boots and an Orvis, Redington or Sage Fly Rod that is a 4, 5 & 6 weight dependent on your needs/our availability. – This rental features a rod, reel, line, and leader. Our rental lines are Sage, Orvis and Redington Rods in a 4, 5, or 6 weight dependent on your needs/our availability. – Our wader/boots rental includes either Patagonia or Simms waders and boots. – Simms Guard socks and Simms or Patagonia wading boots, the perfect setup for those blistering hot days on the water. NRS River Booties Rental – High-Quality NRS zippered river booties that are perfect to protect your feet out on the water. NRS Splash Jacket – NRS Splash jacket to keep warm and dry while you’re out on the water. Paddle Rental – Rent a paddle for your raft, stand up paddle board or kayak. PFD Rental – Rent a personal flotation device (life jacket) for your whitewater or still water adventure. We hope you have a fun day with our rentals. When returning your rental gear be sure to follow a few of our guide lines to avoid additional charges. 1) Please consult with our reservation staff for specific policies and guidelines regarding our rental equipment. 2) All RIGS Rentals must be returned in the same condition rented - with reasonable use/wear. 3) Please return rentals clean and without mud or debris. We provide two hose areas to clean equipment before returning. 4) Upon return, we will assess any excessive damage or loss of equipment and notify you if an additional charge applies.